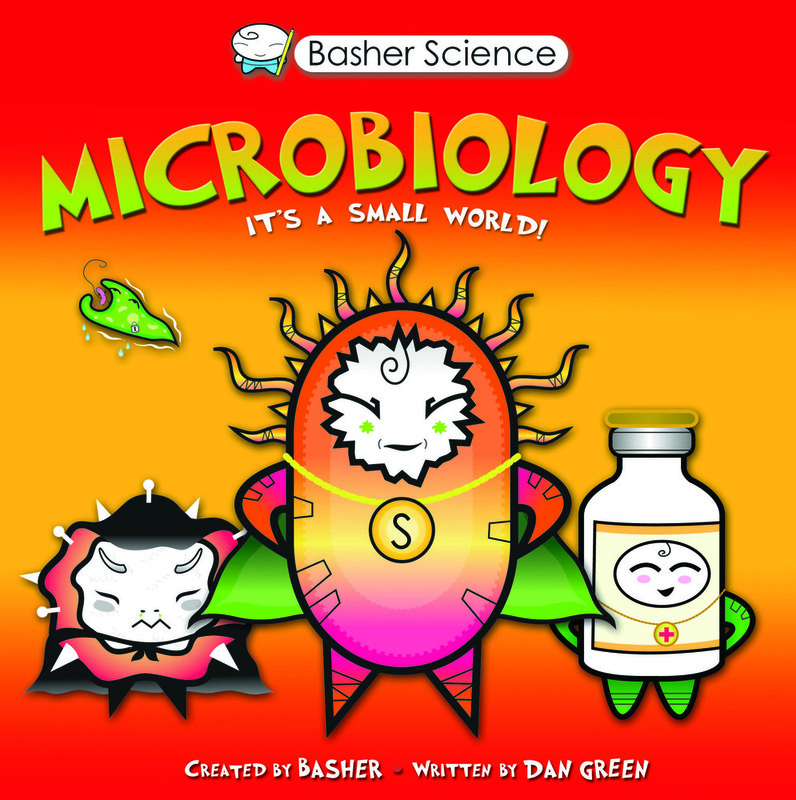 This latest book from the Basher Science series investigates the unseen world of microbes. 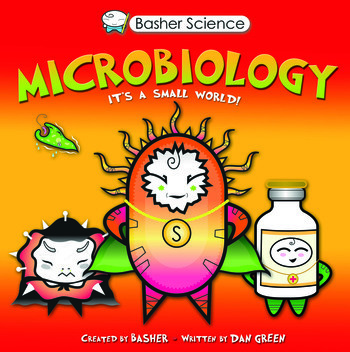 Basher's distinctive style presents key microbes as characters with their own voice and personality. Microbiology investigates the "teensy tykes" such as algae and bacteria that are all around us in the living world, as well as a range of so-called "minibeasts", but these are not the usual creepy-crawlies that you might think of. These near-invisible creatures range from the zooplankton "good guys" to the unpleasant tapeworm and fluke. Yuk! Simon Basher is the creator and illustrator of more than 20 internationally best-selling books for children including the critically acclaimed Basher Science series. Based in London, Basher specializes in "graphic surrealism" and his characters fill the gap between edgy manga and the cuteness of Hello Kitty! Dan Green is the voice of Basher, the author of numerous Basher titles. He's a journalist and science writer with a brilliant knack for communicating complicated information in a child-friendly way.